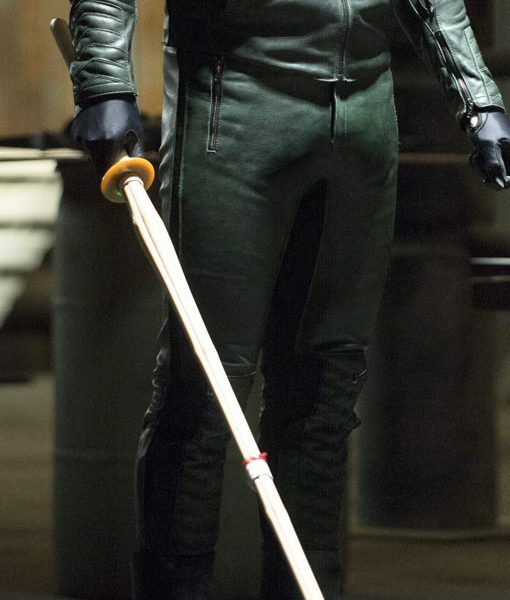 Green Arrow Leather Pant is the representation of Stephen Amell as Oliver Queen in television series “Arrow”. 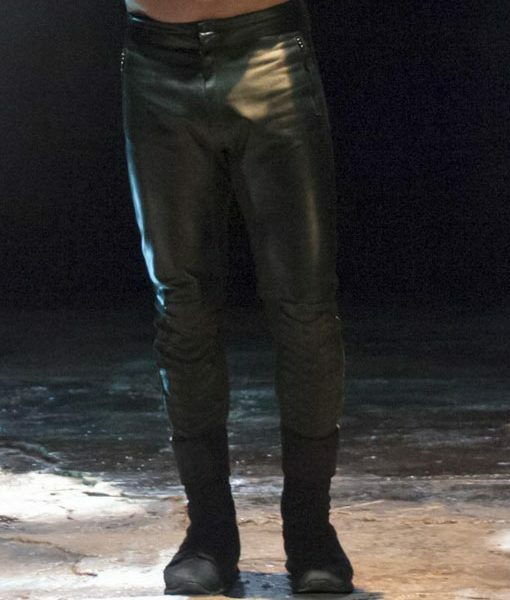 It is a part costume which fans adore from the bottom of their hearts. Green Arrow Pant is crafted in PU leather. This gear includes space for belt, zipper fly, stretch and elasticity appeal and open hem ankles. This apparel is dark green in color.